Discipleship·org asked Roy Moran to write a two-part blog on Disciple Making Movements. We asked Roy to do this because he's an expert on Disciple Making Movements and serves as Chairman of the Board for New Generations (generations.org) and International Disciple Making Network. Out of sight of the first generation. Is there abundant fruit? Is the good news of Jesus giving birth to new disciples? Does the fruit bear more fruit? Are these disciples producing more disciples? Does the fruit last? Can the disciples producing disciples produce disciples? No definitive, authoritative measure will allow an “inerrant” definition. But can we come to an agreement in our tribe (Discipleship·org) about the use of the term? 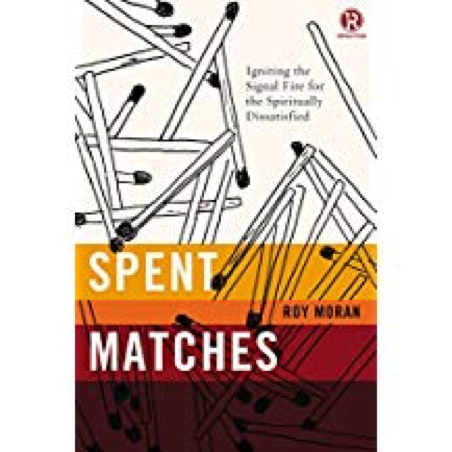 "Roy Moran’s Spent Matches started a fire in me. I found myself agreeing with his daring exegesis of Matthew 28:18-20 again and again. The practical section of the book fired me up, I needed a bucket of water to pour over me to keep me from dropping everything and to get back in the game. Wonderful and penetrating writing along with the simplicity of his replication model makes me hope that we can fulfill the Great Commission".